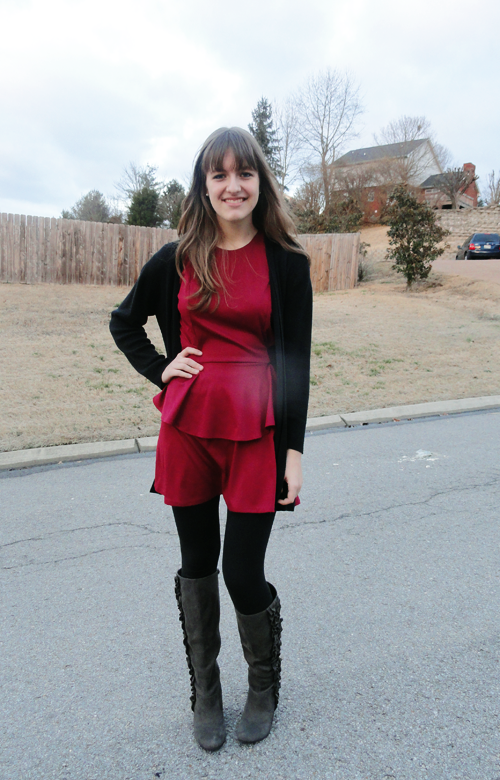 Excuse my frigid pose, for the it was quite frigid outside and the wind was blowing. 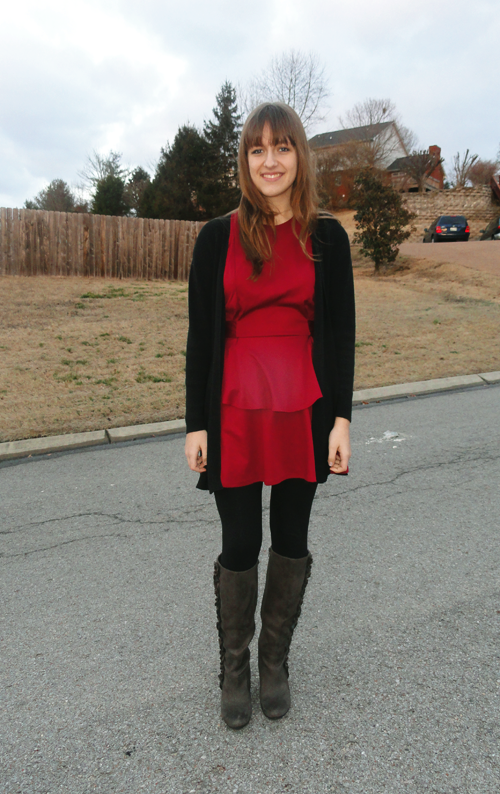 I am in absolute love with this red wine color right now. I am deeply attracted to it. I find that it’s all I want to wear. 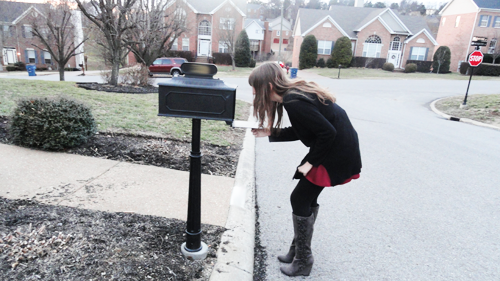 Oh, what’s up with the mailbox pictures? I thought it would be funny to add. 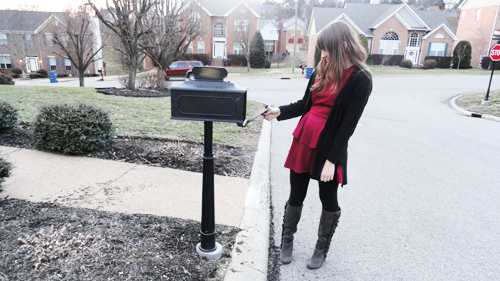 My mom was like, hey take a picture with the mailbox. 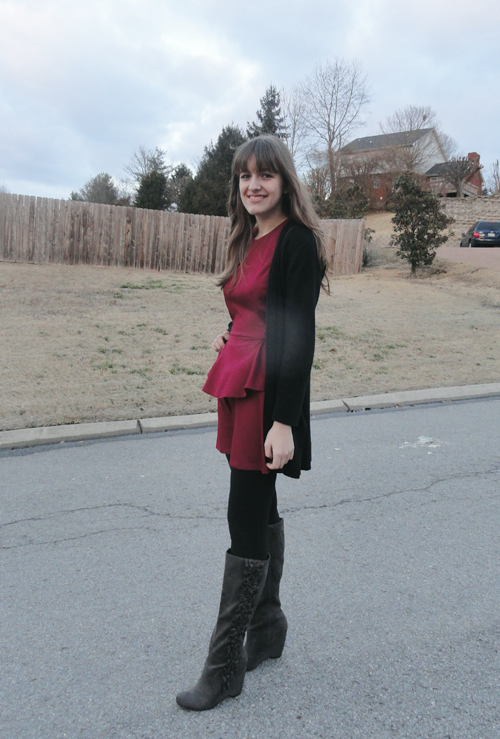 My first show choir competition is this weekend in Alabama! AHH! I’m scared out of my mind!! Previous Post: « because i kinda miss you.